When applying for a job, the burden falls on you to prove you’re the best executive candidate—no surprise to you, I’m sure. A great way to show your worth and prove you’re the right executive is by focusing on what the employer needs, then writing an executive resume that addresses those needs specifically. If you write a generic executive resume that doesn’t take into account the specific needs of the company or showcase your professional capabilities, you are failing to prove that you are right for the position. Unfortunately, another candidate would be more than happy to pick up your slack—and take your job while they’re at it. 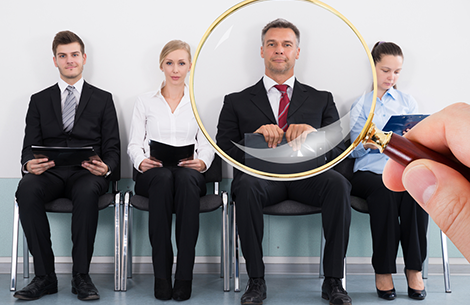 How Can You Ensure Your Executive Resume Is Targeted? So how can you create that targeted executive resume that will show the employer that you deserve the interview? 1. Research the company and position: A great way to target your executive resume is to dig in and learn about the company and what the employer wants from its candidates. Once you acquire this information, you will be armed with specifics that can help you determine the types of contributions you can make to the company. 2. Customize a job target/title, branding statement, and career summary: Instead of writing a bland objective statement, place a job target/title at the top of your resume that defines who you are as an executive candidate. Also, create a branding statement (a one- or two-line statement that sums up the value you can offer each employer based upon their needs and how you can meet them) that is customized to the specific position. Then write an executive summary (most commonly a bullet point list that shares your career highlights) listing accomplishments most pertinent to the position at the top. 3. Utilize keywords throughout: It’s also important to utilize specific keywords in your executive resume. For example, if you are applying as an executive chef in the hospitality industry, you might incorporate keyword phrases such as “menu planning”, “kitchen equipment”, “banquet meal production”, and “procurement of food supplies” as indicators of your knowledge of the field. Keywords should be used in your job target/title, branding statement, career summary, and most other sections in your resume. Targeting your executive resume requires a bit more effort but offers a lot in return. By taking time to tailor resumes for each company to which you apply, you give them no doubt that you are the best person for the job.